This version of Renoise represents the integration of features from Redux, the VST/AU plugin we released earlier this summer. This means that any instrument created with Redux can now finally be loaded into Renoise, and vice versa. While Redux is a large part of the story, it’s not the whole story. We have squeezed in a few long-requested features too, in an attempt to make Renoise 3.1 the best possible release. First of all, Renoise 3.1 contains numerous improvements to the sound engine - a completely new, rewritten filter section as well as optional oversampling and bandlimiting on sample playback. All new digital and analog styled zero delay filters with saturation and optional oversampling - everywhere. digital = bread and butter - clean. Analog = warm, with character. The new filters are offered as two new standalone DSP devices - “Digital Filter” and “Analog Filter”, as polyphonic modulation filters, and are used internally in many existing and updated DSP devices (e.g. the Chorus device). New filters types include a 3 pole K35 filter, Biquad, classic Moog and Diode 4 or 2 pole filters, a Vowel filter, a Chebyshev 4 and 8n filter with customizable ripple and Butterworth 4 and 8n filters. New, optional bandlimited/oversampled sample playback to reduce aliasing, which is especially useful when using small looped samples. If you prefer to draw your waveforms by hand, or are a heavy user of single-cycle sounds, this feature can make quite a difference. New Note frequency tuned Comb DSP device, oversampling option for the Distortion device, new bandlimited oscillators in the RingMod and AM modulation filters in instruments. New Chorus, Flanger and Phaser with resettable phase and new filters. Improved, now zero-latency Convolver device, which will sound more “dense” with small IRs (e.g. cabinet IRs) and should create less CPU peaks, XRUNS with very large IRs (e.g. Reverbs). New “Apply Post Track Volume” option for the Send and MultiSend devices - this makes it possible to use the post-gain level to control any send device, anywhere in the DSP chain. Support for sample rates up to 192000 Hz (if the sound card/driver supports it - always available when offline rendering). Phrases can now be triggered in two different ways. First mode is called KEYMAP, and will allow you to assign a phrase to a particular range on the keyboard. This is basically how Renoise 3.0 works. The second mode is called PROGRAM and will allow you to select any phrase and play it over the entire range of the keyboard, without the need to create a key-mapping first. New sample playback column in phrases, to bypass sample keymaps and trigger samples directly by specifying their index within the instrument. This is useful when working with drum-kits, or to use waveforms in creative ways. Ability to create and use an additional effect column for each note column, in addition to the “global” effects column which apply to all note columns. Individual instrument DSP chains can now be routed to tracks in Renoise - making sample based instruments behave much like a multi-channel plugin. Better handling of sample DSP FX playback when triggering instruments with sample FX across multiple tracks. Unless you are routing individual DSP chains of instrument to specific tracks, playback still is limited to one track at a time - but this will no longer result in “silent” notes and thus now behaves exactly the same as when using plugin instruments. MIDI macros - sample-based instruments can now make use of standard mod-wheel, pitch-bend and channel pressure MIDI messages, with the same flexibility as normal macros offer (a single input can control any number of independently weighted parameters). New “Stepper” modulation device, which allows you to step through a predefined set of values. Can e.g. be used for automatic stereo panning, program a specific movement into a filter for each triggered note, or to exercise more control over a pool of random values. Macro-assignable base value for each modulation domain: Vol, Pan, Pitch, Filter - no more need to insert an “Operand” device just to control these basic properties. New Mono/Glide trigger option - allowing real-time glide between notes as they are played. When recording, Gxx commands are inserted into the pattern as you are playing. Sustain pedal support. To use it, connect a pedal, or send a MIDI CC#64 message. “Hold” mode has been removed in favor of sustain pedal support. Choose MSB/LSB order for MIDI program changes - in case your gear is picky about the order in which these message arrive. Presets everywhere. And now, libraries too. Renoise 3.1 includes a more powerful preset system. You can now store/recall samples and keyzones as presets too, and the whole preset browsing experience has been improved. Create a waveform preset to take a snapshot of the sample you are working on. Multi-sample presets make it easy to save/recall complex keyzone layouts. Imported files will populate the instrument keyzone, while export is using an extended .sfz syntax to support all sample properties - even ones that are unique to Renoise. 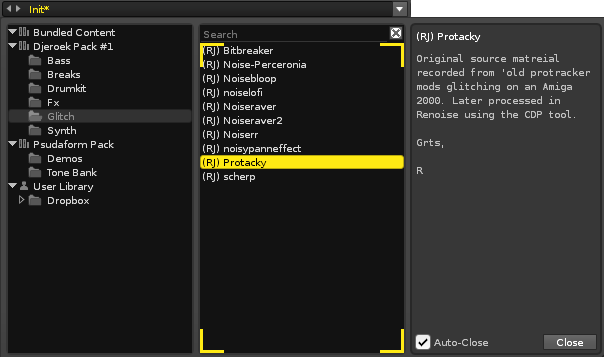 Instrument browser for quick access to, management of Renoise instruments. 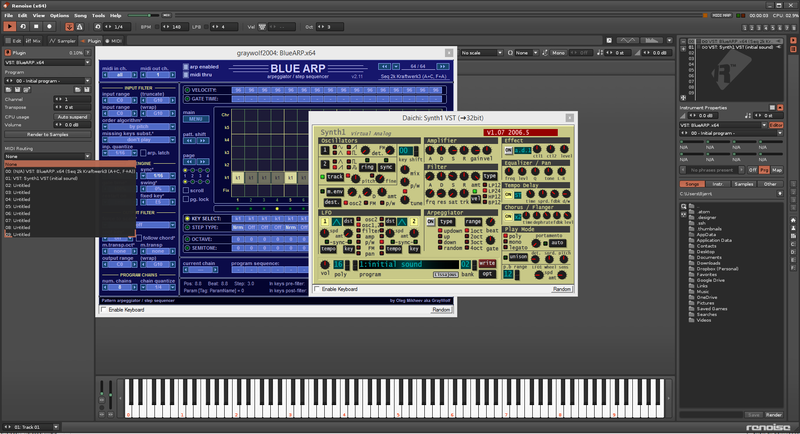 FX presets can be drag-dropped from the file browser onto a DSP chain. Bundled and user Doofer presets are now displayed as separate categories. Another new feature is the Content Library. This is a new type of file format (.xrnl) which acts as a container for other presets - easily installed via drag and drop, and accessed via preset menus - including the new instrument browser (located in the instruments Sampler tab). Once installed, a content pack will immediately make its presets available throughout Renoise. As these presets can be many different “things”, the installer tries to be helpful, and will tell you what it installed - whether that content pack was a bunch of new instruments, some multi-sample presets, or perhaps a collection of DSP chains. If you choose to save one of your own presets, it is stored in a special place - the User Library. This is essentially the same location as where content packs goes, and this location is shared between Renoise and Redux - any file saved to the Renoise user library, or any installed content pack will also be available to Redux, and vice versa. Note: registered users (those eligible for the beta test of Renoise 3.1) have access to a number of exclusive content packs from our backstage. Another big feature for 3.1 is support for plugins that generate MIDI, or a combination of MIDI and audio. This means that you can use specialized tools such as harmonizers, note matrices or arpeggiators - things that can “drive” other instruments in Renoise. The implementation allows you to route the MIDI output of the plugin into another instrument further down in the list of instruments. This target instrument can be another plugin with its own MIDI output (allowing you to chain MIDI-generating plugins together), a “normal” plugin (one that just generates sound) or even the built-in sampler in Renoise. 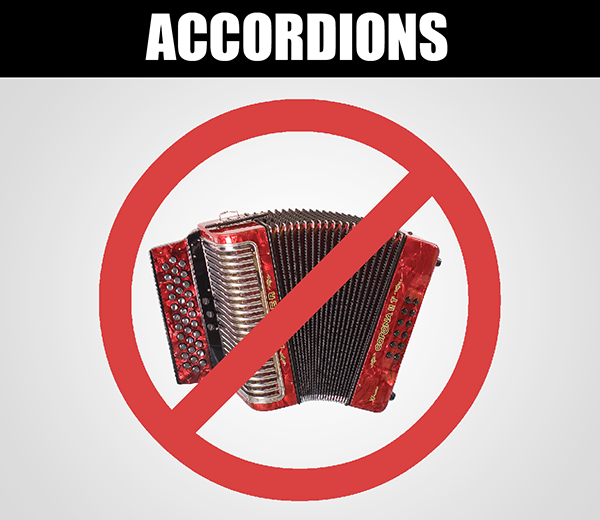 The only real limitation is that you can’t trigger instrument phrases via a MIDI plugin. Granular selections in the Pattern & Phrase Editor: you can now create more precise selections by holding ALT while dragging with the mouse, or SHIFT-selection with the keyboard. In both cases, you can now create a selection with sub-column precision - making it possible to e.g. cut the volume from a series of notes without touching the rest. The “Begin/End selection” keyboard shortcuts also benefit from granular selections. Flexible Mark: a new type of block-selection shortcut which will expand in range, each time it is triggered. First time, the subcolumn range is selected. Next time the column, etc... It will continue like this until it reaches the maximum size, after which the process starts over. Sample Editor: When applying DSP effects to a sample, choose between using track or instrument effects as the source. Pattern Editor: re-ordering and naming of note columns in the pattern editor. Song Options dialog, merging the formerly separate “Playback Options” and “Highlighting & Defaults” into a single dialog. MIDI import: notes are now appended to your song, instead of replacing it. A new song option: “Automation follow”, will bypass the automatic lookup of automated parameters while navigating the song. Useful if you are jamming in a single looped pattern and want to avoid “value jumps” each time the loop starts over. Extended default OSC message set: there are a bunch of new instrument related OSC messages that Renoise now responds to (by default - you can still create your own custom ones in Lua too).